Let's travel the world! : The city of rocks: Castellfollit de la Roca, Spain! 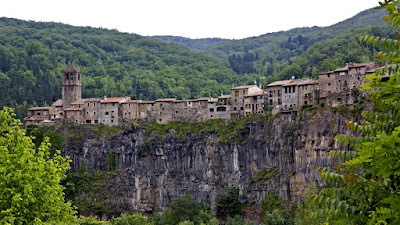 Castellfollit de la Roca, Spain. 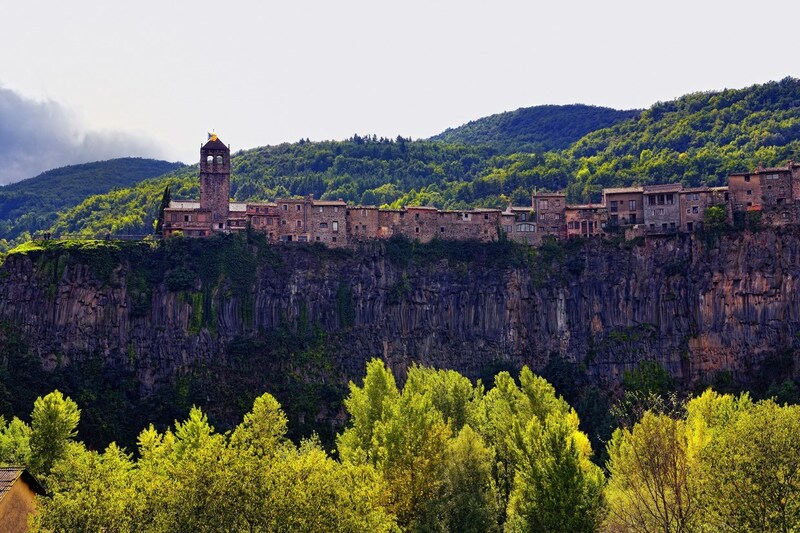 Castellfollit de la Roca, it's a stunning medieval little town in Spain. Castellfollit de la Roca seems to cling on rock face, which is set between the rivers Fluvia and Toronell. The oldest part of the village is comprised of narrow streets, corners and squares, and can be turned you back to the Middle Ages. 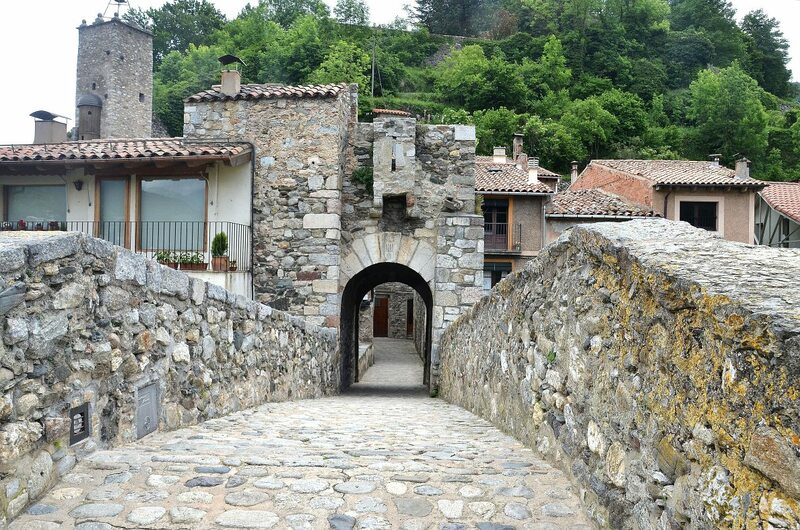 Inhabited for over 1000 years, the town’s narrow streets still carry the characteristics of its medieval origin, and the city center features ramparts that fortified the town during the civil war. 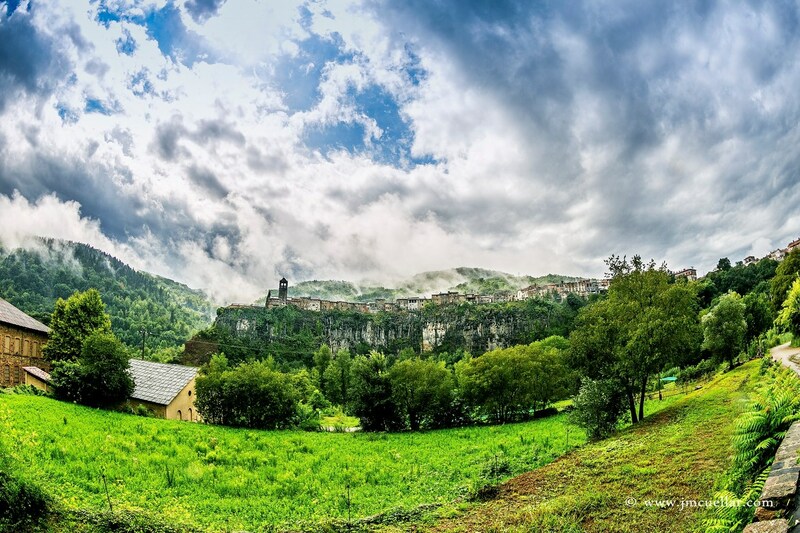 Castellfollit de la Roca is one of the most picturesque villages in Catalonia, Spain. The town is situated on a basalt crag, which is around 1 km in length and 50 metres high. 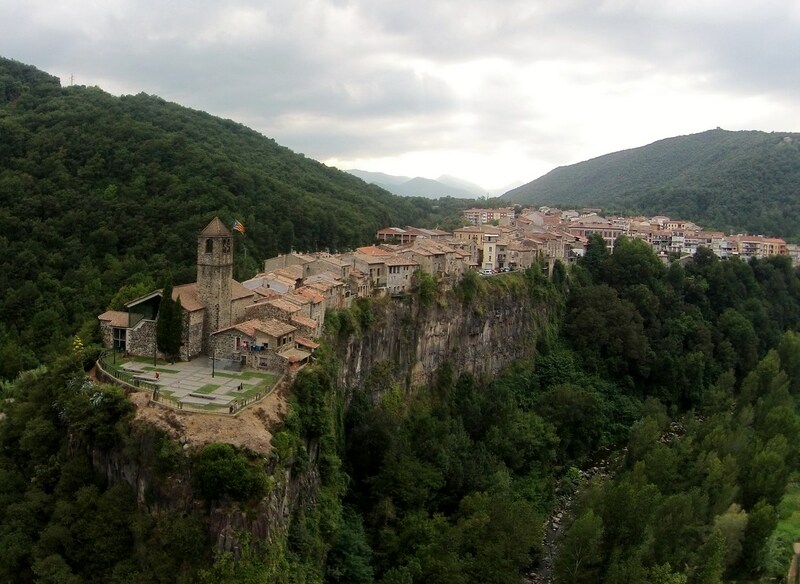 Its church and houses cling to the top of a spectacular basalt rock face, and this has become one of the most widely used images of the region. The houses in the old part of the village are predominately made from volcanic rocks. Thousands of years ago, lava flowed from volcanic eruptions, and then the erosive action of the two rivers formed the crag where the village lies today. 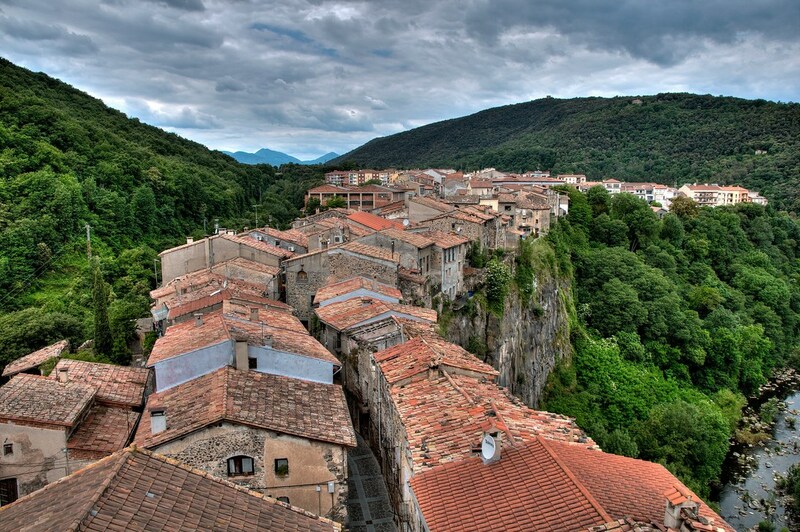 There is one pension where you can actually stay, which has a total of 16 rooms. If you decide to visit during the summertime, there are areas for children to play within the village. The modern part of the town with swimming pools and leisure activities has became a place of gathering for the town’s young and elderly. The medieval and modern town of Olot, is only 7 km away, and is a great base to explore the many wonders of the Garrotxa Nature Reserve. 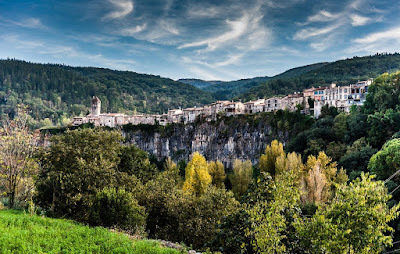 Girona is 47 km away, and the buzzing city of Barcelona is 147 km distance. Shawn dell Thank you very much for your kind words! The cosmopolitan island of Corfu, Greece!